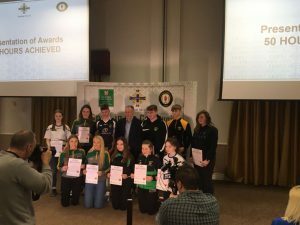 St. Brigid’s GAC had two young members who received their Goldmark 50 hour certificate for volunteering in February 2018. 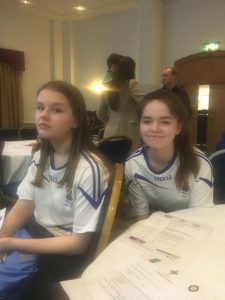 Well done to Beth and Sarah who often take time out of their studies to help out with the younger Club players during Fun Sunday. The Club always needs volunteers, so if anyone is interested and you are 14 years and older we would be delighted to hear from you. The Goldmark awards has proved hugely successfully when included on CVs/job applications/UCAS forms, and make a positive impact in the community, for those aged 14-24 years. The certs available are for 50, 100 or 200 hours.